A Chrome Canary is not a hood ornament, nor is it a bird covered in chrome. It’s a (excuse the cool speak) bleeding-edge browser that is for those of you who like to being on, what we used to call the “cutting edge” of technology. 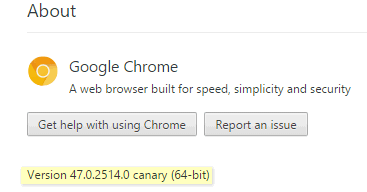 Canary is a version of Chrome, my favorite browser, that updates almost every day. New features that will be added to Chrome using show up in Chrome first. You can use Google Chrome right along side of Chrome Canary. If fact, we recommend you do not uninstall Chrome when you install Chrome Canary. 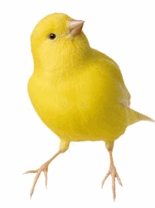 Canary is “bleeding-edge” software that may, occasionally crash or not work at all – although we have found it to be stable for the week or so we’ve been using it. We’ve found most extensions work with it, including Last Pass. Keep in mind that Chrome Canary updates almost every day, just because an extension works today does not mean it will work tomorrow. Again, however, we’ve not had any problems at all with Canary. Your mileage may vary. 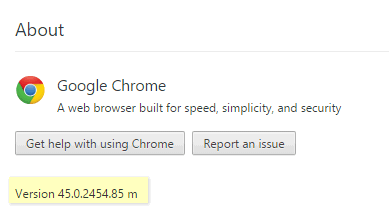 Google Chrome Canary has the newest of the new Chrome features. Be forewarned: it’s designed for developers and early adopters, and can sometimes break down completely. Canary is designed for developers and early adopters, and can be prone to breakage. Canary changes and gets new features almost every day. To aid development and testing, Canary and Chrome Stable can run at the same time. Ironically, while Google claims Canary is “bleeding-edge” technology, it doesn’t mention it works on Windows 10 – which it does. Also keep in mine the main download button downloads the 64-bit version of Canary. If you don’t have a 64-bit system, download the 32-bit version from the tiny link beneath the button. If you like to play around with new stuff and don’t mind taking a chance that Canary might break, and can withstand the nightly upgrades, then you’re our kind of people, people. Daredevils, risktakers and dreamers…yay! To get Chrome Canary visit this page. And please remember, don’t uninstall your regular chrome browser – you don’t need to, and you shouldn’t. I’ve got a question for you. I went ahead and downloaded Google Chrome Yellow (which works fine) but I can’t figure out “How To” get all of my current Google Chrome browser’s extensions (at top of screen) onto Google Chrome Yellow (of which there are currently 17), Adblock Plus, ZenMate, etc.